Halloween is here and so is all that yummy bite-sized candy! But what does it take to burn off all those extra calories? 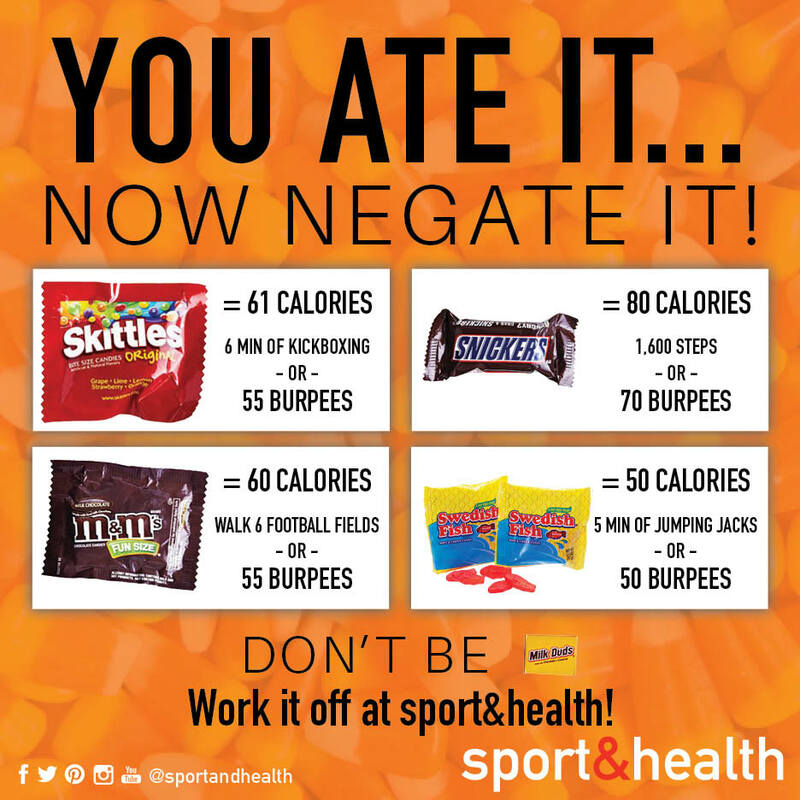 McKenna Smet, trainer at Sport&Health, will walk you through some exercises that will help you negate the Halloween candy binge.